Many folks worry that the cellphone is killing us. They worry it is killing our ability to think critically. To remember. They fear it is killing our social connections. Our children. But what I’m especially worried about is the cellphone potentially killing my three favorite things on planet earth: ghosts, Sasquatches, and UFOs. I mean, c’mon… now that we’re a decade into the era where everyone is packing a high resolution video camera in their back pockets, we should have some unbelievably compelling evidence of ghosts, Sasquatches, and UFOs at this point. Sadly, we seem to have even less photos and videos coming out than we did in the seventies. Maybe we’re just really bad at documentary videography in spooky situations. Or perhaps all of those compelling cases hinting at the existence of miraculous things were just cases of mistaken identity. Like this Falcon. She was mesmerized by this bizarre sight, and her Halloween was made extra spooky when she truly believed she had just seen a bonafide UFO in Ship Bottom. But she didn’t. She simply saw an…. 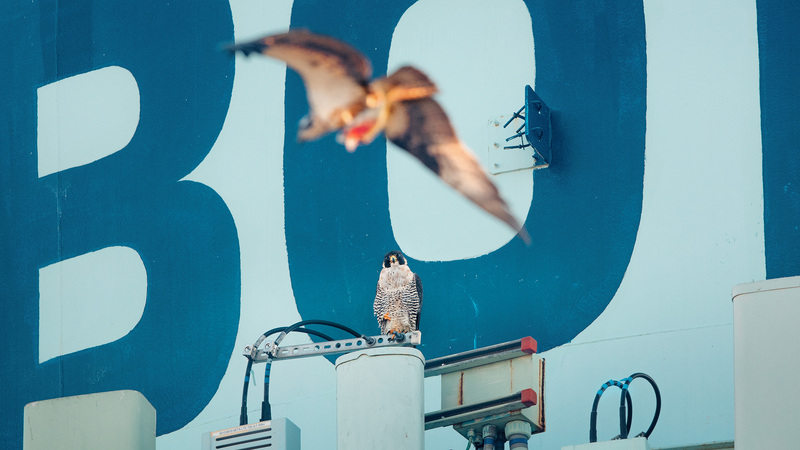 Can you figure out what the Peregrine saw here? Posted in Wildlife and tagged LBI, Long Beach Island, peregrine falcon. Bookmark the permalink. That is what I would have chosen too. Could it be an Eagle? I know there’s been one hanging around recently. I would think an Osprey but they’ve all left the area for a warmer climate. My money is on an eagle 🦅! Looks like you have an osprey that hasn’t left. How about a Gyrfalcon (that would be cool) carrying a mouse?